Friday is the sixth day in Islamic week. The literal meaning of Friday is congregation. In islam, this day is given the most importance than any other days of the week. 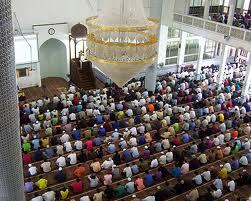 Every Friday, Prayer of Jummah is offered and for this prayer special time is taken. 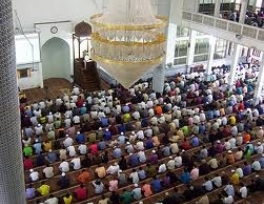 Imams of all masjids deliver khutbah on a special topic every Friday. From various ahadith, it is proven that Prophet Muhammadﷺused to celebrate this day and he declared jummah as weekly eid for muslims. He ﷺ used to wear clean and new (washed) clothes, used to take bath, wear fragrance, wear surmah for this day specially. ”When the Friday comes, at every door of the Masjid there stands Angels who write down (the names of) those who come First, then who comes next. When the Imam sits down, the records are closed and they come to listen to the reminder , i.e. the Khutba….” Muslim 1984. From authentic ahadith, it is taken that Prophet Muhammad ﷺadvised Muslims to recite surah al-Kahf on every Friday to keep safe from the fitnah of dajjal. While the fast on Jummah is forbidden i.e. the single fast in a week cannot be observed on jummah but it can be observed in pair i.e. with Thursday or with Saturday. From the history, it is proven that Jummah was most important day for the previous nations as well. It is still considered a blessed day in many religions for example Hinduism. Thus, Friday is considered a special and important day right from the very beginning of humanity. Imam Bukhari and Muslim reported that Holy Prophet Muhammad ﷺhad said, "We (Muslims) came last and yet we are the first on the day of judgment. They have received the books before us (meaning Torah and Injil). We have received the book after them (meaning the Qur’an). Friday was their day to be glorified. However, they disputed on that while Allah had told us Friday is the day to glorify. Thus they will follow us. The Jews glorify Saturday, and the Christians glorify Sunday." Also reported by Imam Muslim, Abu-Dawood, Al-Nasai, and Al-Tirmizi, that Holy Prophet Muhammad ﷺhad said, "The best day during which the sun have risen is Friday. It is the Day Adam was created. It is the day when Adam entered paradise and also when he was taken out from it. It is also the day on which the Day of Judgment takes place."